The material on your CD -- music, lyrics and songs -- is automatically protected by U.S. copyright law from the moment you record your material. You are not required to register your songs with the U.S. Copyright Office to legally claim them. However, filing a copyright application for your songs does provide more legal protections for them, including establishing public proof that your songs belong to you. Download and read a U.S. Copyright Office pamphlet on copyrighting music, "Copyright Registration of Musical Compositions and Sound Recordings." Go to the U.S. Copyright Office website home page. Click on the "Electronic Copyright Office" link. On the next page, click on a link labeled "eCO Tutorial." Download the tutorial, which explains how to file an online copyright application. Go back to the U.S. Copyright Office home page and click on a link titled "eCO Login." Follow the instructions on a series of interactive screens that will guide you in setting up your CD's online copyright application. You will be asked to pay a fee, $35 at the time of publication. Upload copies of your CD's audio files. The U.S. Copyright Office maintains a list of acceptable file formats on a web page labeled "Help: List of Acceptable File Types." Contact the U.S. Copyright Office if you do not receive your CD's certificate of registration within three months after the day that you file your online application. 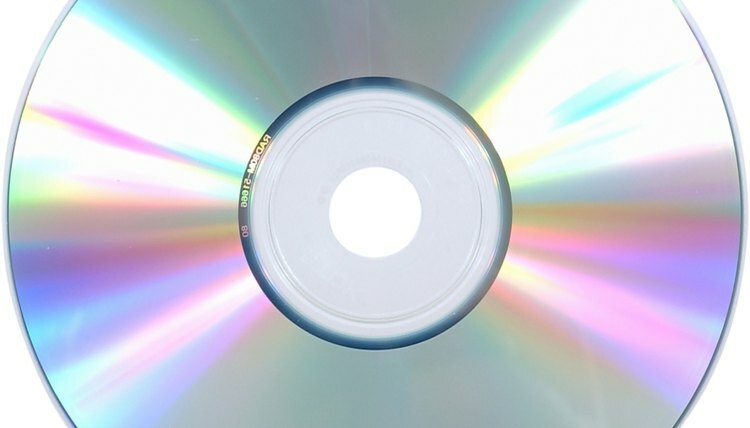 Store audio files of your songs on a CD in a file format approved by the U.S. Copyright Office. The U.S. Copyright Office has listed these formats on a web page labeled "Help: List of Acceptable File Types." Return to the U.S. Copyright Office website home page. Click on a link called "Forms." On the next page, click on links marked "Form CO" and "Form CO Instructions." Download, print out and complete Form CO, "Application for Copyright Registration." Write a check payable to the "Register of Copyrights" for your fee, $50 at the time of publication. Create one copy of your CD for the U.S. Copyright Office if your CD is unpublished. If your CD is published, create two copies of it. Place your check, your completed Form CO and a copy of your CD in a box, so that your CD will survive the security irradiation process. Put your CD in a full-sized jewel box instead a slim-line case. Mail the box to: Library of Congress, Copyright Office, 101 Independence Avenue, SE, Washington, DC 20559-6237. Get in touch with the U.S. Copyright Office if you do not receive your CD's certificate of registration within 10 months.